Over the years, treatment of early vulvar neoplasia has shifted from a radical surgical approach to tissue-sparing surgery and preservation of sexual function. For malignant conditions, separate groin incisions for the inguinal-femoral lymphadenectomy instead of en bloc resection have improved wound healing dramatically without compromising survival. Sentinel lymph node has minimized groin complications after surgery. A new approach is a laparoscopic minimally invasive inguinal lymphadenectomy (SAFE-MILND). 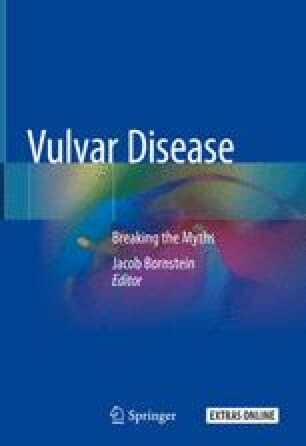 For vulvar premalignancy the surgical options are mainly local excision and skinning vulvectomy.